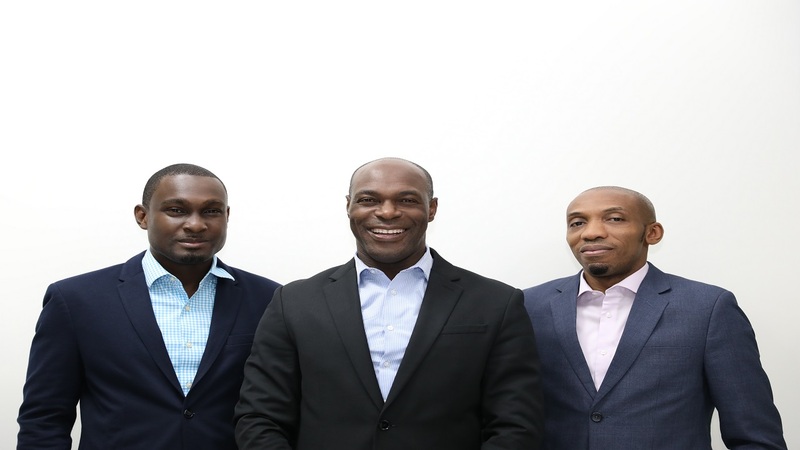 (L-R) Berisford Grey - Co-Founder & CEO of Sygnus Capital, Sygnus Chairman Wain Iton; Sygnus Chief Investment Officer Jason Morris,; Marlene Street Forrest - Managing Director of JSE, Gregory Samuels - Executive Director of Investment Banking of Sygnus; Walter H. Scott of Chairman of Sygnus Capital, Gassan Azan - Co-Founder and Director of Sygnus, Ike Johnson COO of Sygnus Capital, Dionnie Headley - Managing Director of Sygnus Tax Advisory. 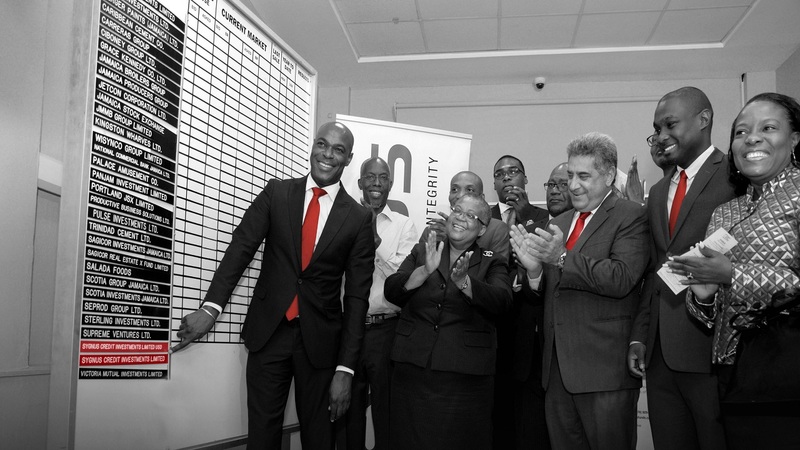 Sygnus Credit Investments (SCI) on Monday, officially listed two class of shares on the Jamaica Stock Exchange’s Main Market. The private credit investment company listed 350,087,563 ordinary shares in total, with 53 per cent of the shares on the JMD market and 47 per cent on the USD market. SCI listed its shares after its initial public offering (IPO) was three times oversubscribed, making it the largest IPO for a private credit investment company in the Caribbean. The company initially sought to raise the equivalent of $1.2 billion, but doubled the size of the offer after receiving $4.2 billion in subscriptions, gaining 3,434 additional shareholders during the process. “This is the first company to cross-list both issues. The move lends itself to greater buoyancy/trading of these securities on the secondary market as investors despite whether they purchased in the US dollar issue or Jamaica Dollars issue can transact in any of the markets. I wish to applaud the company in making this move,” stated. Marlene Street Forrest, Managing Director of the Jamaica Stock Exchange. The Jamaican dollar shares began trading under the symbol SCIJMD and the US shares under the symbol SCIUSD. Given the shares were cross listed, the SCIJMD shares can also be traded on the US market under the symbol SCIUS and settled in US dollars, and the SCIUSD shares can be traded on the JMD market under the symbol SCIJA and settled in Jamaican dollars. This is made possible because the Jamaican shares, SCIJMD and SCIUS have the same international shares identification number or ISIN, which allows a shareholder to trade the shares on both markets. Likewise, the US securities, SCIUSD and SCIJA have the same unique ISIN. Investors can thus switch between the two currencies by instructing their brokers to do so, if this is desired by any shareholder. The key advantage of the cross listing is that it allows investors to use Jamaican dollars to purchase the US dollar shares traded as SCIJA, or the Jamaican dollar shares traded as SCIJMD. Likewise, it allows investors to use US dollars to purchase the Jamaican dollar shares traded as SCIUS, or to purchase the US dollar shares traded as SCIUSD. Shareholders will receive dividends in the currency in which their shareholding is denominated. Additionally, existing shareholders can sell their US dollar shares as SCIUSD and receive US dollars, or as SCIJA and receive Jamaican dollars. Similarly, shareholders of the Jamaican dollar shares can sell SCIJMD and receive Jamaican dollars, or as SCIUS and receive US dollars. 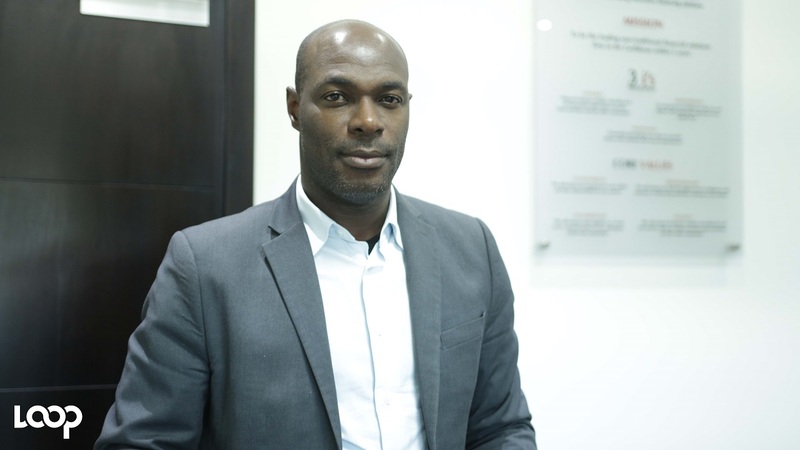 Clement Wain Iton, Chairman of Sygnus Credit Investments Limited re-assured SCI’s commitment to their investors. “As a company and board, we have a tremendous responsibility to our expanded stakeholder base of over 3300 new stakeholders. Making the transition from a private company to a public listed company is a very serious undertaking and we at SCI commit and pledge that we treat it as such. Our new investors will be treated fairly & equally. We will ensure the investment you have made will grow and flourish. As a board we commit to good governance, to transparency and accountability. We pledge to be a model listed company and in doing so maintain consistent and honest investor communication,” stated Iton during his opening remarks. He also used the opportunity to thank the founders of parent company and Lead Arranger, Sygnus Capital Management Limited, Berisford Grey, Ike Johnson, Jason Morris and Gassan Azan; Lead Broker and Co-Arranger, Sagicor Investments Limited; Co-Broker, Jamaica National Fund Management Limited; Legal Advisors, Patterson, Mair, Hamilton; Auditors, KPMG; the Staff of Sygnus Capital Management and the Directors of Sygnus Credit Investments Limited.